Mumbai: Republic TV, India’s number 1 English news channel for non-stop 53 weeks is celebrating its milestone first year anniversary in a unique and special way. 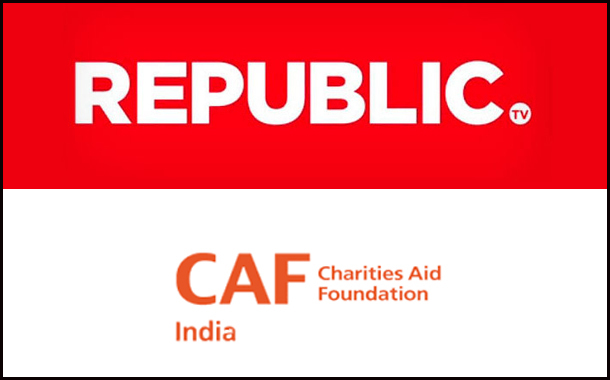 Republic TV has partnered with Charities Aid Foundation (CAF) India, a not for profit organisation to fuel and accelerate the spirit of giving among the citizens of the nation. Republic is committed to the people of the country and will be championing meaningful causes to drive social change. This partnership is symbolic of the culture of giving that Republic TV and CAF India want to promote, to encourage everyone to give back to the society. Through this collaboration, both partners want to encourage citizens to step forward, contribute and make an impact in their community, whether it is by giving time, money or knowledge. “As a news brand, we feel strongly that our platform should engage in meaningful conversations that foster positive impact in the society. We want to commemorate our first anniversary towards the cause of a more inclusive India, and we are committed to contributing INR 2 Crore upwards of media assets to promote this initiative. As a news brand we want to leverage our widespread reach to stoke the fire of giving back. As a culture, we have always been a generous society, and we want to highlight that there are many meaningful ways of contributing”, said Vikas Khanchandani, CEO of Republic TV. Republic TV & CAF India are extremely committed to this project & believe strongly in the Culture of Giving. CAF India, has been working tirelessly to make giving better and more impactful in India for almost closed to two decades. Give4Good an online donation platform powered by CAF India makes it possible for donors to donate from anywhere in a quick, convenient and secure manner. Over the years CAF India has been successfully running numerous giving campaigns and published many reports like ‘World Giving Index’ to encourage the spirit of giving & volunteering. CAF India & Republic Network are working together to build the India Giving Index which will be based on extensive research across the length & breadth of the country. Republic will use its broadcast and digital platforms, along with partner channels to highlight, promote, and celebrate those who are championing the cause of giving and contributing meaningfully to social causes. The network invites everyone including individuals, NGO’s and corporates to come together and join this giving movement that aims to transform lives and communities.